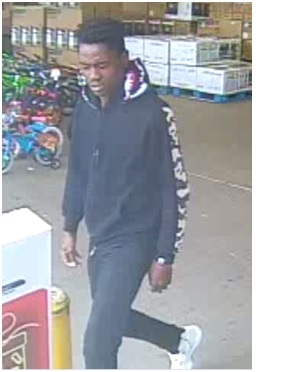 On January 14, 2019 the victim reported that his credit card was lost/stolen and the card was used at Family Dollar located at 614 W. Moore Avenue Terrell, Texas. 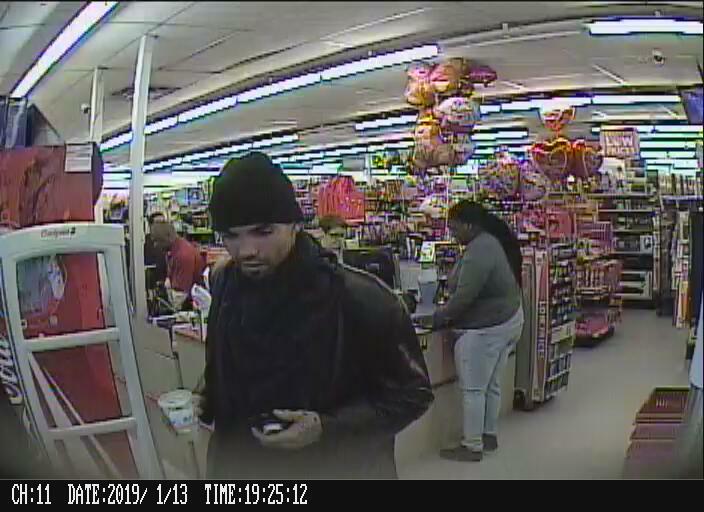 The two male suspects pictured were captured on surveillance video using the victim's credit card. 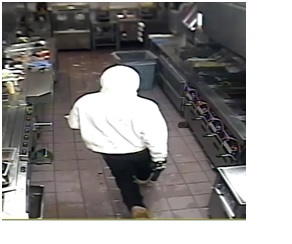 On Wednesday, January 30, 2019 at 12:04 a.m., Terrell Police Responded to an Aggravated Robbery at Wendy's, 290 East IH20. Witnesses reported a black male climbed through the drive thru window wearing a mask and holding a black semi-automatic handgun. 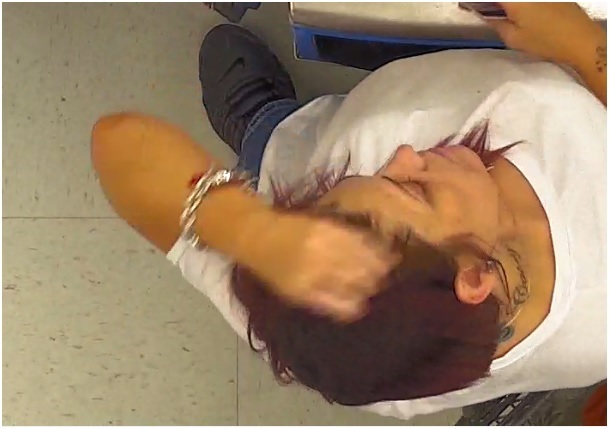 He shouted, “Give me the money” and started pushing an employee, striking her in the forehead 2-3 times with the pistol and a tray that was lying nearby. The suspect then demanded that the safe be opened and began pushing three employees toward the office in the rear of the restaurant. Once in the office the suspect placed the gun against the manager’s head and forced her to open the safe. When the safe was opened, the suspect grabbed approximately $1150 cash, ran back to the drive-thru window, jumped out and ran back to the vehicle, getting in the passenger side. The vehicle then traveled south through the Circle K parking lot toward McDonald’s and then southbound of SH 34. 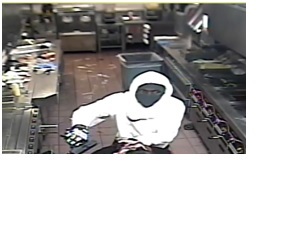 Officers were able to view the restaurant’s security footage and secured a copy of it. 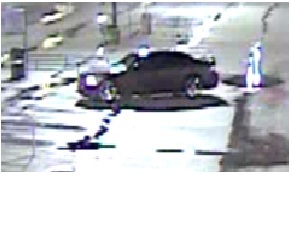 Upon viewing the footage the vehicle is believed to be a silver 2013 Chevy Cruze. The suspect was a B/M, approximately 5’8”-5’10”, light build, wearing a white Nike hoodie with only the Nike Swoosh logo, black Levi’s skinny jeans, black Mechanix style gloves with white writing, some type of face covering and tan combat or hiking style boots. The weapon was determined to be a Hi-Point pistol. 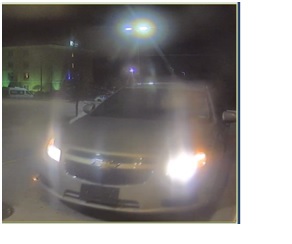 The LP on the vehicle was unreadable in the security footage. 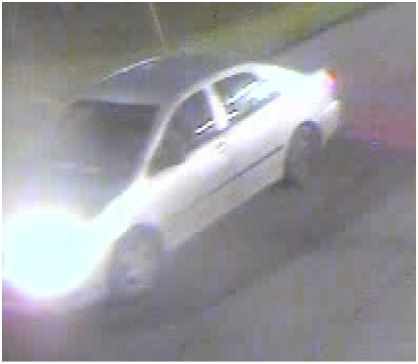 Still shots of the suspect vehicle and suspect are attached below. 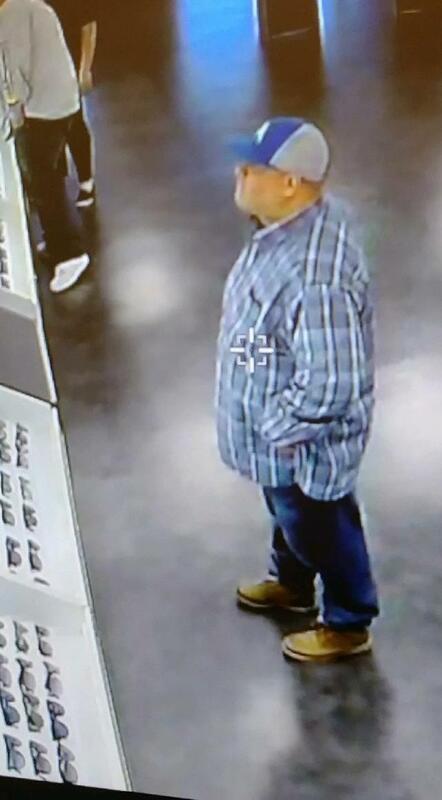 On Thursday January 19, 2019 two unknown Hispanic males, pictured bellow, entered the business of Sunglass Hut located at Tanger Mall. 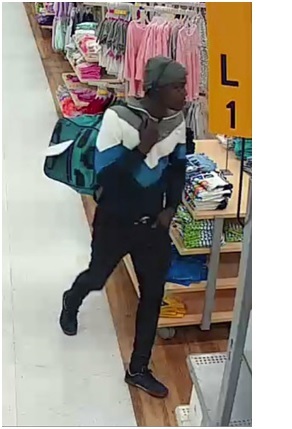 After distracting the employee, the suspects each conceal a pair of black Versace sunglasses valued at $295.00 each and exit the business without paying. In October of 2018 The Terrell Police Department met with a victim regarding credit/ debit card abuse. The victim said her purse was stolen in Mesquite, Texas and her credit cards were being used in several cities including Terrell. 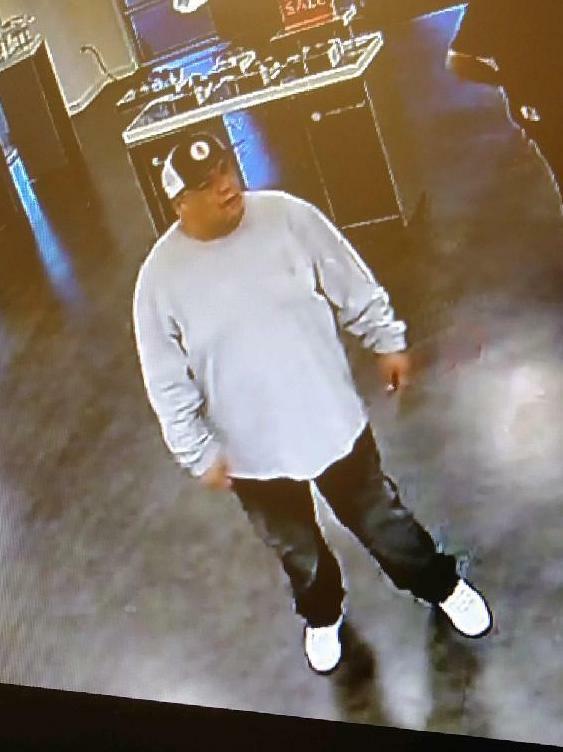 Video surveillance shows the suspect is a black male of thin build with a salt/ pepper beard and was wearing a blue camouflaged Cowboy's hat, grey t shirt, grey sweat pants and had glasses hung along the neck of his shirt. The male suspect was joined by a black female with curly blonde highlights, earrings and a green shirt and black pants. 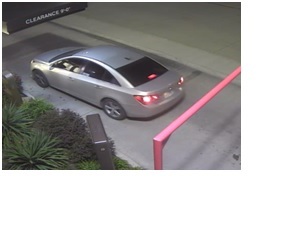 The suspects were in a newer model silver Nissan Sentra handicap placard hanging from the rear view mirror. 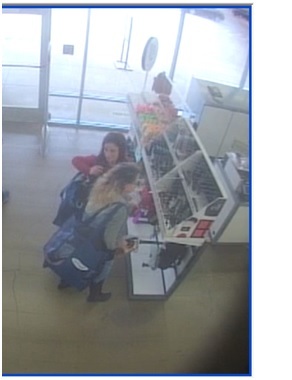 On December 29, 2018 at approximately 1330 hours, two females, pictured below, entered the Old Navy store at Tanger Mall. The females each grabbed a mesh bag that is provided to customers and began walking around the business placing clothing items inside the bags. The females then exited the business past the last point of payment without attempting to pay for the merchandise. 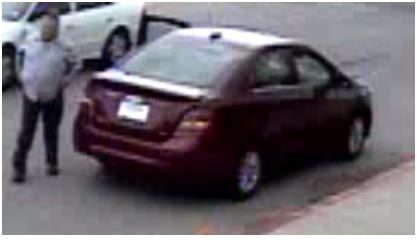 The female entered an older model 4-door maroon passenger car and fled the scene. The total amount of theft is estimated at $1181.73. On Wednesday November 7, 2018 the Terrell Police Department responded to a burglary at the Cornerstone Baptist Church located at 113 State Highway 205, Terrell, Texas. 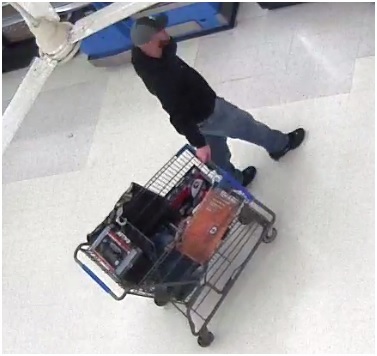 Several items were missing including electronics, speakers, band instruments and credit cards with a value of $11,000.00. 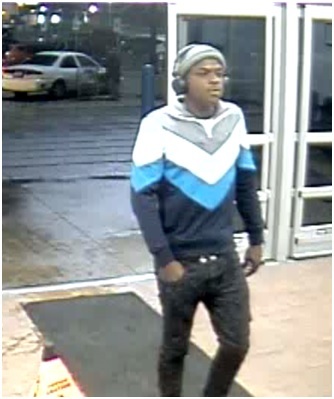 The credit cards were used at a Walmart in Seagoville, Texas. The video surveillance show a white male and white female using the card. 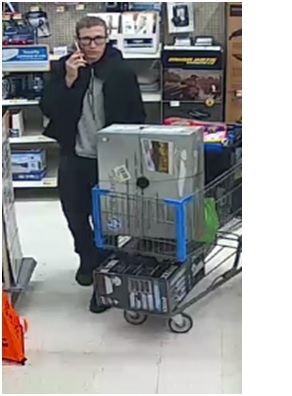 On Saturday, November 10, 2018 Officers were dispatched to Walmart in reference to a theft where suspects fled the scene. 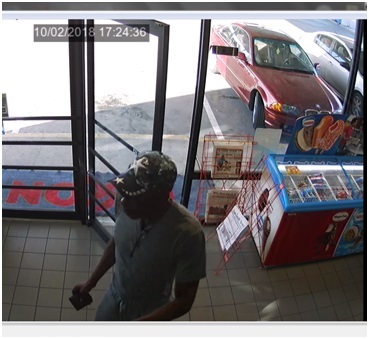 The bellow pictured suspects ran out the back door exit with a TV (SAMSUNG55TV) valued at $899.00, and two computers (23.8 FHD/I5 and HP AIO) valued at $399.00 and $398.00. A white GMC Yukon was waiting for the suspects and fled from the location when the suspects were confronted by employees leaving the suspects behind. The suspects abandoned the property and fled the location on foot. 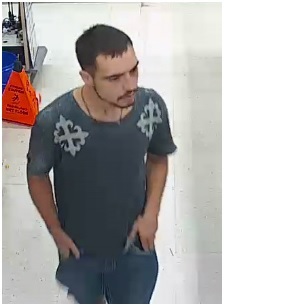 On Wednesday September 19, 2018 at approximately 1513 hours, The Terrell Police Department was dispatched to 1900 W. Moore Ave. (Walmart) in reference to counterfeit money. The female pictured below entered the store and paid for items three different times using counterfeit twenty dollar bills at each transaction. 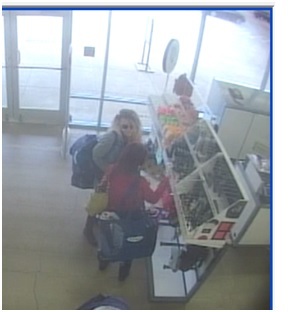 The below pictured suspects used the victim's credit card at multiple locations within the city of Terrell. Contact Crimestoppers or the Terrell Police Department with any information. 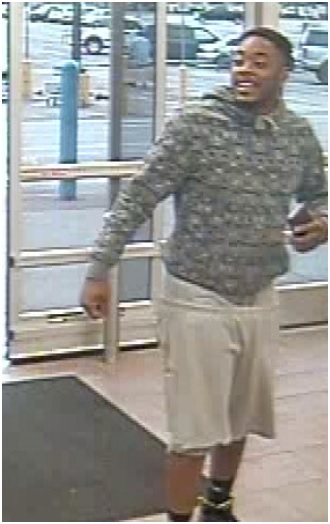 On Thursday 09/27/2018 The Terrell Police Department was dispatched to a forgery passing of a check that occurred at the Walmart American National Bank located at 1900 W. Moore Ave. The suspect pictured below passed the forged check for the amount of $3,500. The couple in the photo are unidentified and are suspects in two thefts at Home Depot in Terrell. The police need help identifying these two subjects. You may report though Crime Stoppers for a possible reward if information leads to an arrest or you may call Criminal Investigations at 469-474-2639 if no reward is wanted. Thank you. 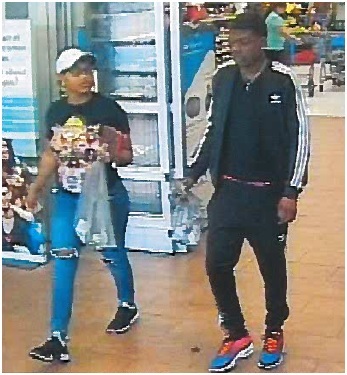 The bellowed pictured subjects are suspected of passing counterfeit currency on multiple occasions at Wal-mart, located in the City of Terrell. Upon arrival, Officers made contact with Walmart loss prevention employee, Teresa Morrow. Morrow advised she was reviewing video and observed two white males enter the rear parking lot from the wooded area behind the business. 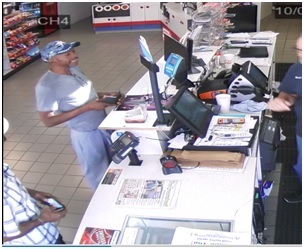 The two males walked to the front of the business and met with a white female in a red Chevrolet Tahoe. The female had previously been inside the business and purchased an item. 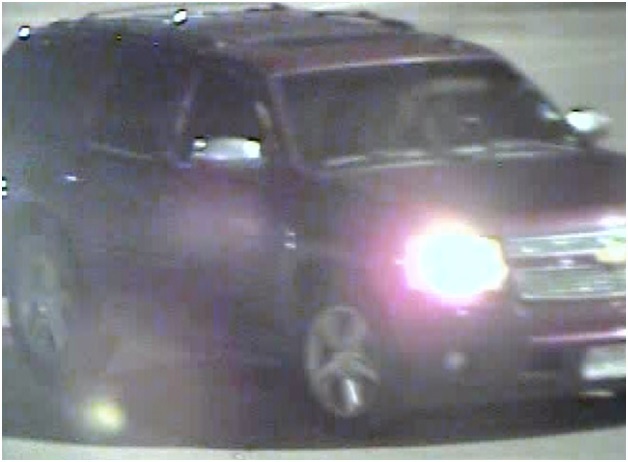 The males entered the vehicle with the female and after a few minutes exited the vehicle and entered the business. 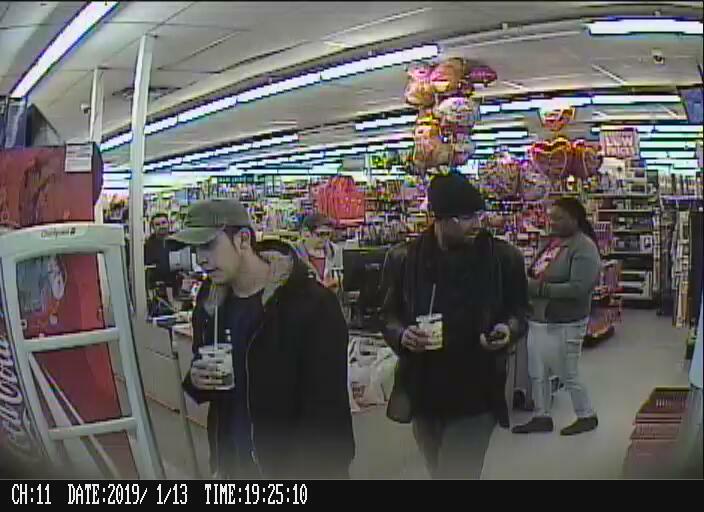 Upon entering the business the males placed several items totaling $573.00 into a shopping cart and exited the business through the emergency fire exit without paying for the items. The subjects entered a silver passenger car that did not have a license plate and fled the scene. On 08/06/2018, Officers were dispatched to Holiday Inn located at 300 Tanger in reference to a theft. The victim was sitting outside of the hotel lobby on a bench when a black male sat next to her. The victim got up for a brief moment and the black male suspect reached into the victim's purse and took a small coin purse that contained her Debit Card. 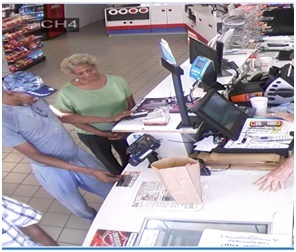 When the victim noticed that her card was missing she immediately called the bank and had the card canceled, but not before the suspect had made a transaction for $14.59, at Circle K Corner Store (Valero) located at 1703 S. SH34. Below is a still photo of the suspect using the card at Circle K (Valero). Video showed that the suspect arrived in a light colored Chevy Impala. 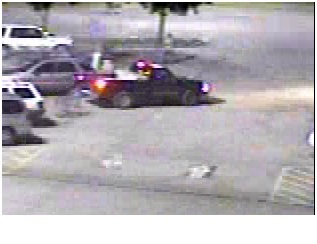 The gray or silver car in the photo was used to drop off a suspect in the 1400 block of E. Moore in Terrell, in order to steal a truck and trailer full of lawn equipment valued over $30,000. 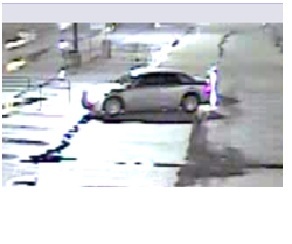 It appears to be an older model Toyota Camry or simular Sedan. The truck and trailer were recovered after the truck caught fire. If you have any information about the suspect, please submit a tip. 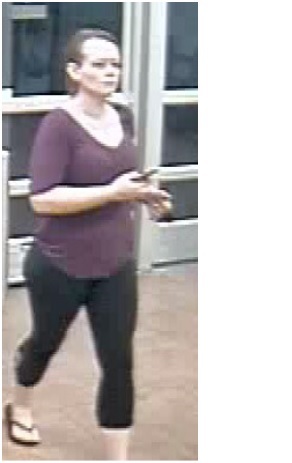 The subject in this photo used a fraudulent debit card at a local business in Terrell. 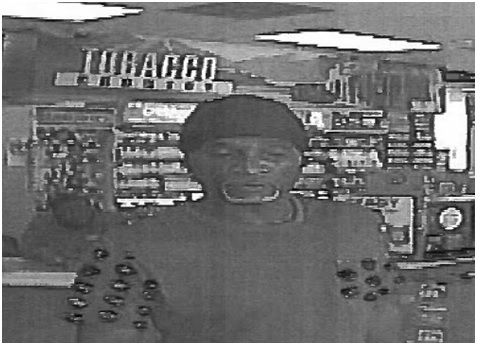 He fled when the clerk advised him that the transaction showed the card to be fraudulent. If you recognize this subject, please forward a tip. 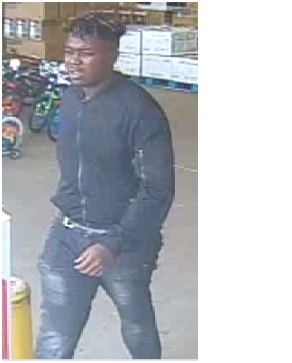 On Saturday, 08/11/2018 a white male wearing a light colored short sleeve button down shirt and blue jeans entered the garden center at Walmart in the city of Terrell and removed a Monster Moto 1000 Electric Mini Bike. The male attempted to load the mini bike into the trunk of his vehicle and was confronted by an employee. 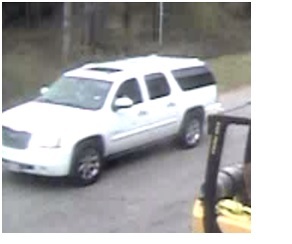 The male left the mini bike and fled in the vehicle, described as a newer model maroon Chevy 4-door passenger car. 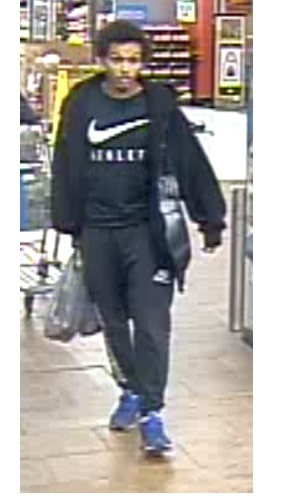 On August 5, 2018 the two subjects in the photo exited Terrell Wal-Mart with a buggy of merchandise that had not been purchased. They decided to leave the buggy and items in the parking lot and flee in the black Chevy Colorado. The male appears to have light colored hair with possibly some reddish tent and facial hair. He possibly has sleeve tattoos on both arms and a chest tattoo. The female appears to have brown hair and a chest tattoo near her right shoulder and a star tattoo on her right calf. 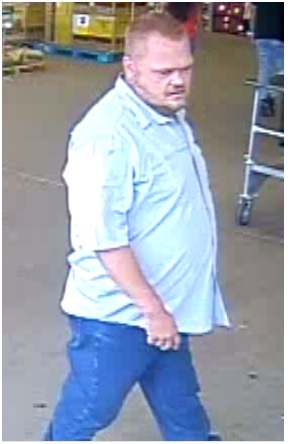 On June 26, 2018, while at Wal-Mart in Terrell, TX , the subject in the attached photo attempted to pass a forged check and was in possession of identifying information belonging to another. When the subject was confronted, he quickly exited the business. 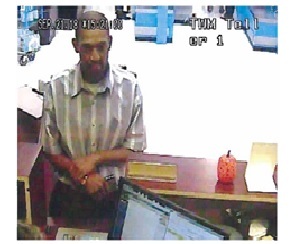 Terrell Police need your help in identifying this subject.